Woman’s Tongue Injected with Sperm From Her Dinner Dish.. This past weekend I ventured just a couple of miles away from my house to find the hustle and bustle of 1,000’s of people who took over Pasadena on Saturday June 16th, 2012! 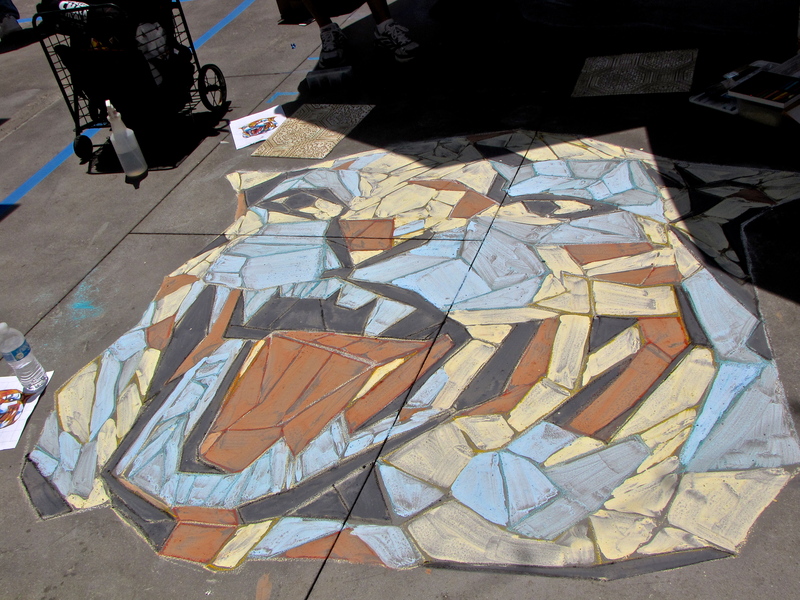 Firstly- there was the 20th Annual Chalk Festival held at the Paseo Colorado Mall. Approximately over 600 artists gathered from Southern California to Pasadena for the 2 day festival of artistic chalk magic! I’d link you to the website, but it crashed since Sunday with an overwhelmingly large numbers of viewers. It’s estimated that over 100,000 people came to see these temporary art exhibits on the ground of the Paseo. My favorite was an Albert Einstein Time Magazine cover- which actually won an award! Secondly- there was the 5th Annual Make Music Pasadena event on Saturday as well. I really don’t know why I had never attended this fantastic festival before..it was too awesome to ever pass up again! There were over 150 free concerts all around walking distance in downtown Pasadena ranging across 6 main stages and over 30 impromptu stages. The only band I had really heard of before was GROUPLOVE which has a hit on the radio that I LOVE at the moment 🙂 I’ll attach the video under the photo slideshow for your listening enjoyment. Multiple busy roads were closed down for this all day music event, and people came out from all over Southern California to see their favorite bands play for FREE! I had a blast and was happy to see all these new faces flock to Pasadena, my little bubble of a town. The drawings are incredible, wish i had that talent! Looks like you had a great time, thanks for sharing! It was a fantastic day! And yes those drawings were out of this world amazing when they were completed.